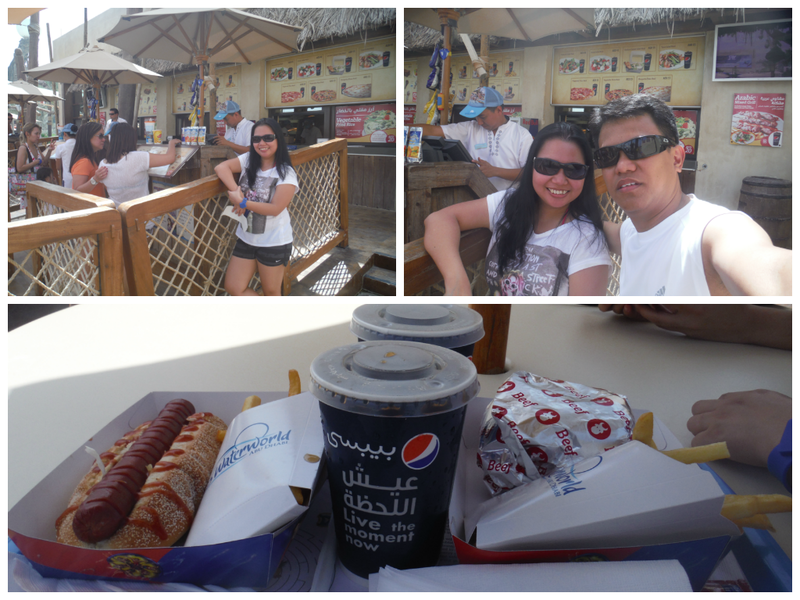 Finally, after the longgggg planning of visiting the Yas waterworld- this is it!!! We went there in the middle of the season - the sun just started to give the right heat in our body - just so perfect!! Yas Waterworld is a theme park based on an Arabic folklore "The Legend of the Lost Pearl". The exciting rides and slides depict the adventure of Dana on her journey to find the lost pearl It is the home of of the first 360 degree looping waterslide in the UAE and the world's first Hydromagnetic-powered waterslide. Since it opened last 2013 of January many of guests can't get enough of this thrill and exciting experience. It was Saturday noon and the queue is not that bad at all. We had paid for the entrance fee and for the locker and we also loaded some amount in our waterproof wristband for easy payment inside the waterpark. Yas Waterworld's lobby is where the changing room, locker and souvenir shops are located. It's like an old arabic market place where people gather. Since we arrived noon, we decided to take our lunch at Dana's Diner first and good thing the queue is not that busy. I had hotdog sandwich and Beef Burger for Albert. The price range from 45 to 60 dirhams. By the way, I was pretty surprised that the serving is huge and sooo good. After a good meal and good chat with friends -our fun begun!! The waterpark rides are classified into four categories: Adrenaline Rush rides have the highest thrill level, made especially for the fearless! For those who want to scare themselves a little, there are Exciting Adventure rides. For medium thrill level, there are Moving and Grooving rides where you can have fun without screaming at the top of your lungs! Lastly, the Young Fun rides are for the little ones and for the kids at heart. My man first tried the RUSH RIDER and he enjoyed it a lot. The first ride I tried was the Bandit Bomber - the longest suspended rollercoaster for 550 metres with onboard special water and laser effect. But unfortunately, we don't have picture here :( But were laughing out loud when we saw the pictures captured by the theme park. And this is what ladies enjoyed most!! 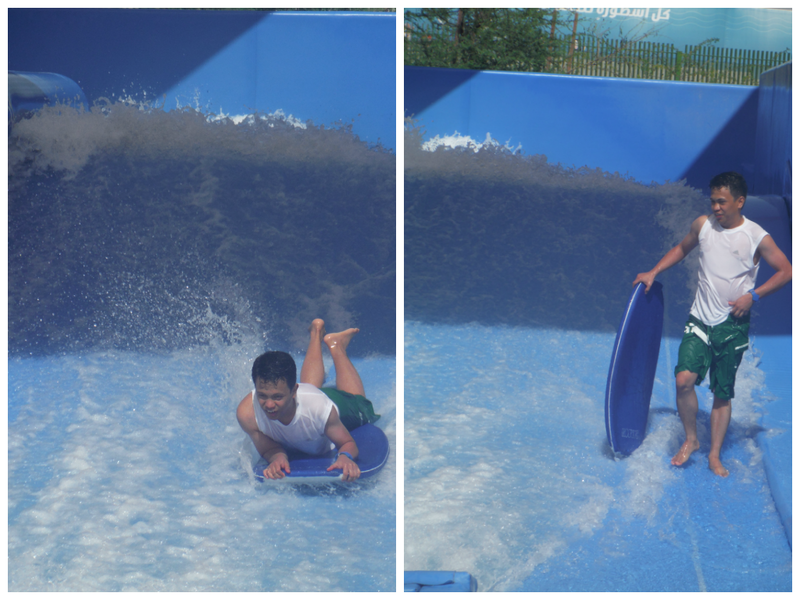 YADI YAS it's not a lazy river, it's more like an action-packed wadi ride. Hubby and I after trying the Serpent Spin. Not scary as it looks like. After a tiring and fun day we still ended up having smile on our face. This is truly a wonderful experience. 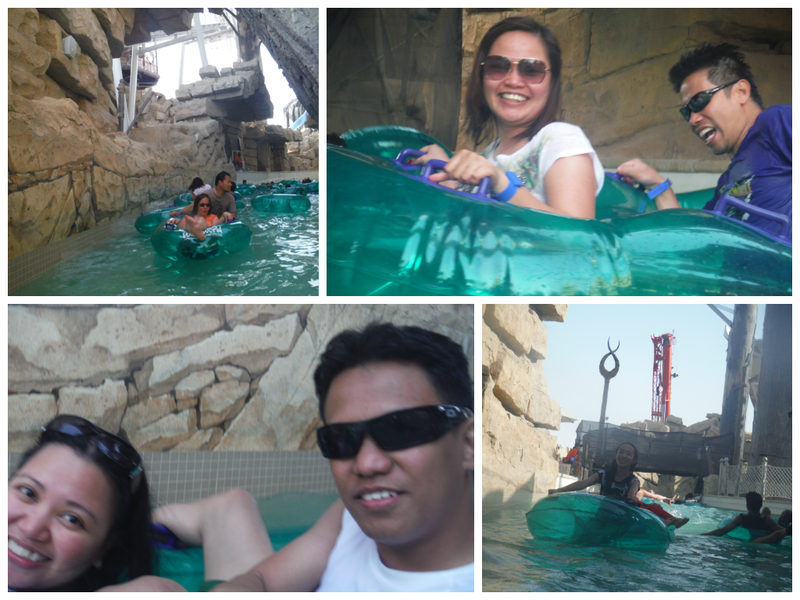 Thumbs up for Yas Waterworld for the amazing theme park with world class amenities. Check out here for Yas Waterworld updates and prmotions!